Millions of Americans suffer from sneezing, coughing, itching, runny noses, and watering eyes when the pollen starts to fly. Each spring, summer, and fall tiny particles are released from trees, weeds, and grasses. 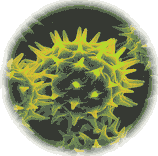 These particles, known as pollen, hitch rides on currents of air. Although their mission is to fertilize parts of other plants, many never reach their targets. Instead, they make unscheduled detours into human noses and throats. At these sites, the pollen can trigger the allergic reaction that doctors call pollen allergy, or seasonal allergic rhinitis, and that many people know as hay fever or rose fever (depending on the season in which the symptoms occur). Of all the things that can cause an allergy, pollen is one of the most pervasive. Many of the foods, drugs, or animals that cause allergies can be avoided to a great extent; even insects and household dust are not inescapable. However, short of staying indoors when the pollen count is high - and even that may not help - there is no easy way to evade wind-borne pollen. Yet there ARE some ways to ease the symptoms of hay fever - and scientists are working to find more and better approaches to allergy treatment. The National Institute of Allergy and Infectious Diseases, a part of the National Institutes of Health, conducts and supports research on allergic diseases. The goals of this research are to provide a better understanding of the causes of allergy, to improve the methods for diagnosing and treating allergic reactions, and eventually to prevent them. This booklet summarizes what is known about the causes and symptoms of pollen allergy, as well as what medical researchers are doing to help people who suffer from it. An allergy is a sensitivity to a normally harmless substance, one that does not bother most people. The allergen (the foreign substance that provokes a reaction) can be a food, dust particles, a drug, insect venom, or mold spores, as well as pollen. Allergic people often have a sensitivity to more than one substance. People with pollen allergies often develop sensitivities to other troublemakers that are present all year such as dust and mold. Year-round allergens like these cause perennial allergic rhinitis, as distinguished from seasonal allergic rhinitis, or hay fever. Normally, the immune system functions as the body's defense against invading agents (bacteria and viruses, for instance). In most allergic reactions, however, the immune system is responding to a false alarm. When allergic persons first come into contact with an allergen, their immune systems treat the allergen as an invader and mobilize to attack. The immune system does this by generating large amounts of a type of antibody (a protein) called immunoglobulin E, or IgE. (Only small amounts of IgE are produced in nonallergic people.) Each IgE antibody is specific for one particular allergen. In the case of pollen allergy, the antibody is specific for each type of pollen: one antibody may be produced to react against oak pollen and another against ragweed pollen, for example. These IgE molecules attach themselves to the body's mast cells, which are tissue cells, and to basophils, which are cells in the blood. When the enemy allergen next encounters the IgE, the allergen attaches to the antibody like a key fitting into a lock, signalling the cell to which the IgE is attached to release (and in some cases to produce) powerful inflammatory chemicals like histamines, prostaglandins, leukotrienes, and others. The effects of these chemicals on various parts of the body cause the symptoms of allergy. Plants produce the microscopic round or oval grains called pollen in order to reproduce. In some species, the plant uses the pollen from its own flowers to fertilize itself. Other types must be cross-pollinated; that is, in order for fertilization to take place and seeds to form, pollen must be transferred from the flower of one plant to that of another plant of the same species. Insects do this job for certain flowering plants, while other plants rely on wind transport. The types of pollen that most commonly cause allergic reactions are produced by the plain-looking plants (trees, grasses, and weeds) that do not have showy flowers. These plants manufacture small, light, dry pollen granules that are custom-made for wind transport; for example, samples of ragweed pollen have been collected 400 miles out at sea and 2 miles high in the air. Because airborne pollen is carried for long distances, it does little good to rid an area of an offending plant - the pollen can drift in from many miles away. In addition, most allergenic (allergy-producing) pollen comes from plants that produce it in huge quantities - a single ragweed plant can generate a million grains of pollen a day. The chemical makeup of pollen is the basic factor that determines whether a particular type is likely to cause hay fever. For example, pine tree pollen is produced in large amounts by a common tree, which would make it a good candidate for causing an allergy. However, the chemical composition of pine pollen appears to make it less allergenic than other types. Moreover, because pine pollen tends to fall straight down and is not widely scattered, it rarely reaches human noses. Grasses and trees, too, are important sources of allergenic pollens. Although there are more than 1,000 species of grass in North America, only a few produce highly allergenic pollen. These include timothy grass, Kentucky bluegrass, Johnson grass, Bermuda grass, redtop grass, orchard grass, and sweet vernal grass. Trees that produce allergenic pollen include oak, ash, elm, hickory, pecan, box elder, and mountain cedar. It is common to hear people say that they are allergic to colorful or scented flowers like roses. In fact, only florists, gardeners, and others who have close contact with flowers are likely to become sensitized to pollen from these plants. Most people have little contact with the large, heavy, waxy pollen grains of many flowering plants because this type of pollen is not carried by wind but by insects such as butterflies and bees. One of the most obvious features of pollen allergy is its seasonal nature - people experience its symptoms only when the pollen grains to which they are allergic are in the air. Each plant has a pollinating period that is more or less the same from year to year. Exactly when a plant starts to pollinate seems to depend on the relative length of night and day - and therefore on geographical location - rather than on the weather. (On the other hand, weather conditions during pollination can affect the amount of pollen produced and distributed in a specific year.) Thus, the farther north you go, the later the pollinating period and the later the allergy season. A pollen count - familiar to many people from local weather reports - is a measure of how much pollen is in the air. This count represents the concentration of all the pollen (or of one particular type, like ragweed) in the air in a certain area at a specific time. It is expressed in grains of pollen per square meter of air collected over 24 hours. A pollen count is an approximate and fluctuating measure, but it is useful as a general guide. Pollen counts tend to be highest on warm, dry, breezy days and lowest during chilly, wet periods. Moreover, the pollen concentration in an area can be changed by population growth, land use, tree plantings and cutting, industrialization, and pollution. .Conjunctivitis (an inflammation of the membrane that lines the eyelids, causing red-rimmed eyes). In people who are not allergic to pollen, the mucus in the nasal passages simply moves these foreign particles to the throat, where they are swallowed or coughed out. But something different happens to a pollen-sensitive person. As soon as the allergy-causing pollen lands on the mucous membranes of the nose, a chain reaction occurs that leads the mast cells in these tissues to release histamine. This powerful chemical dilates the many small blood vessels in the nose. Fluids escape through these expanded vessel walls, which causes the nasal passages to swell and results in nasal congestion. Histamine can also cause itching, irritation, and excess mucus production. Other chemicals, including prostaglandins and leukotrienes, also contribute to allergic symptoms. Some people with pollen allergy develop asthma, a serious respiratory condition. While asthma may recur each year during pollen season, it can eventually become chronic. The symptoms of asthma include coughing, wheezing, shortness of breath due to a narrowing of the bronchial passages, and excess mucus production. Asthma can be disabling and can sometimes be fatal. If wheezing an shortness of breath accompany the hay fever symptoms, it is a signal that the bronchial tubes also have become, involved indicating the need for medical attention. HOW IS POLLEN ALLERGY DIAGNOSED? People with a pollen allergy may at first suspect they have a summer cold - but the "cold" lingers on. For any respiratory illness that lasts longer than a week or two, it is important to see a doctor. When it appears that the symptoms are caused by an allergy, the patient should see a physician who understands the diagnosis and treatment of allergies. If the patient's medical history indicates that the symptoms recur at the same time each year, the physician will work under the hypothesis that a seasonal allergen like pollen is involved. The doctor will also examine the nasal mucous membranes, which in persons with allergic conditions often appear swollen and pale or bluish. To find out which types of pollen are responsible, skin testing may be recommended using pollens commonly found in the local area. A diluted extract of each kind of pollen is applied to a scratch or puncture made on the patient's arm or back or injected under the patient's skin. With a positive reaction, a small, raised, reddened area with a surrounding flush (called a wheal and flare) will appear at the test site. The size of the wheal can provide the physician with an important reaction diagnostic clue, but a positive reaction does not prove that a particular pollen is the cause of a patient's symptoms. Although such a reaction indicates that IgE antibody to a specific pollen is present in the skin, respiratory symptoms do not necessarily result. Skin testing is not advisable in some patients such as those with certain skin conditions. Diagnostic tests can be done using a blood sample from the patient to detect levels of IgE antibody to a particular allergen. One such blood test is called the RAST (radioallergosorbent test). Although the RAST offers some advantages over skin testing, it is expensive to perform, takes several weeks to yield results, and is somewhat less sensitive. Skin testing remains the most sensitive and least costly diagnostic tool. HOW IS POLLEN ALLERGY TREATED? There are three general approaches to the treatment of pollen allergy; avoidance of the allergen, medication to relieve symptoms, and immunotherapy or injection treatments (commonly called allergy shots). Although no cure for pollen allergy has yet been found, one of these strategies or a combination of them can provide various degrees of relief from allergy symptoms. Complete avoidance of allergenic pollen means moving to a place where the offending plant does not grow and where its pollen is not present in the air. But even this extreme solution may offer only temporary relief since a person who is sensitive to one specific weed, tree, or grass pollen may often develop allergies to others after repeated exposure. Thus, persons allergic to ragweed may leave their ragweed-ridden communities and relocate to areas where ragweed does not grow, only to develop allergies to other weeds or even to grasses and trees in their new surroundings. Because relocating is not a reliable solution, allergy specialists strongly discourage this approach. There are other ways to evade the offending pollen: remaining indoors in the morning, for example, when the outdoor pollen levels are highest. Sunny, windy days can be especially troublesome. If persons with pollen allergy must work outdoors, they can wear face masks designed to filter pollen out of the air reaching their nasal passages. As another approach, some people take their vacations at the height of the expected pollinating period and choose a location where such exposure would be minimal. The seashore, for example, may be an effective retreat for many with pollen allergies. 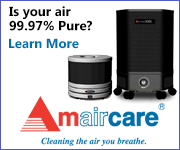 Air conditioners and filters. 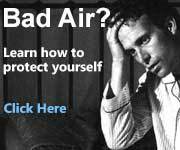 Use of air conditioners inside the home or in a car can be quite helpful in reducing pollen levels. Also effective are various types of air-filtering devices made with fiberglass or electrically charged plates. These can be added to the heating and cooling systems in the home. In addition, there are portable devices that can be used in individual rooms. 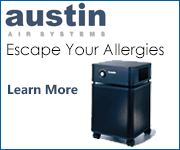 An allergy specialist can suggest which kind of filter is best for the home of a particular patient. Before buying a filtering device, it is wise to rent one and use it in a closed room (the bedroom, for instance) for a month or two to see whether allergy symptoms diminish. The air flow should be sufficient to exchange the air in the room five or six times per hour; therefore, the size and efficiency of the filtering device should be determined in part by the size of the room. Devices that may not work. Persons with allergies should be wary of exaggerated claims for appliances that cannot really clean the air. Very small air cleaners cannot remove dust and pollen - and no air purifier can prevent viral or bacterial diseases such as influenza, pneumonia, or tuberculosis. Buyers of electrostatic precipitators should compare the machine's ozone output with Federal standards. Ozone can irritate the nose and airways of persons with allergies, especially asthmatics, and can increase the allergy symptoms. 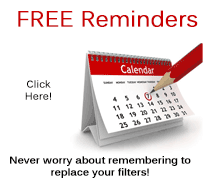 Other kinds of air filters such as HEPA (high efficiency particulate air) filters do not release ozone into the air. Avoiding Irritants. During periods of high pollen levels, people with pollen allergy should try to avoid unnecessary exposure to irritants such as dust, insect sprays, tobacco smoke, air pollution, and fresh tar or paint. Any of these can aggravate the symptoms of pollen allergy. Medication. For people with seasonal allergies who find they cannot avoid pollen, the symptoms can often be controlled with medication available by prescription or over the counter. Effective medications that can be prescribed by a physician include antihistamines, corticosteroids, and cromolyn sodium - any of which can be used alone or in combination. There are also many effective antihistamines and decongestants that are available without a prescription. Antihistamines. As the name indicates, an antihistamine counters the effects of histamine, which, as described before, is released by the mast cells in the body's tissues and contributes to the allergy symptoms. For many years, antihistamines have proven useful in relieving sneezing and itching in the nose, throat, and eyes and in reducing nasal swelling and drainage. But many people who take antihistamines experience some distressing side effects: drowsiness and loss of alertness and coordination. In children such reactions can be misinterpreted as behavior problems. Several new types of antihistamines that cause fewer of these side effects are now being developed and marketed. Nasal Decongestants. Over-the-counter products containing decongestants can be helpful in relieving blocked nasal passages. These drugs constrict the blood vessels in nasal tissue, lessening swelling and mucus production. Nasal decongestants, although available as nasal sprays, may be taken orally; these include compounds such as ephedrine, phenyl-propanolamine hydrochloride, and pseudoephedrine hydrochloride. Because these drugs can raise blood pressure, increase the heart rate, and cause nervousness in some people, persons with allergies should check with their doctors before using decongestants. People with allergic rhinitis should avoid using decongestant nasal sprays because frequent or prolonged use can lead to a "rebound phenomenon," in which the initial effect of shrinking the nasal passages is followed by increased swelling and congestion. When this occurs, a person often will use the spray in higher doses, or more frequently, in an attempt to get relief from congestion. Instead of improving nasal congestion, however, such use of nasal sprays only intensifies the problem. Corticosteroids. Until recently, corticosteroids, although very effective in controlling allergic disorders, were not widely used for pollen allergy because their prolonged use can result in serious sided effects. Corticosteroids relieve the symptoms of pollen allergy by reducing nasal inflammation and inhibiting mucus production. Locally active steroids that penetrate the nasal membrane are now available as nasal sprays in measured-dose spray bottles. When used this way, the drug affects only the nasal passages rather than the entire body. The side effects, which are minimal when the spray is used in recommended doses, can include nasal burning and dryness and a sore throat. Cromolyn sodium. Another effective agent that is available by prescription as a nasal solution is cromolyn sodium. Unlike antihistamines or steroids, cromolyn sodium is believed to control allergic symptoms by preventing the mast cells from releasing histamine. In clinical trials, cromolyn sodium has been proven safe and effective and, in contrast to some other allergy medications, appears to cause no drowsiness. Unlike antihistamines and decongestants, corticosteroid nasal sprays and cromolyn sodium nasal solutions must be used for several days to weeks before there is any noticeable reduction in symptoms. Combination therapy. Sometimes antihistamines, cromolyn sodium, or nasal corticosteroids are not effective when used alone, but when prescribed in combination, these agents can often provide significant, if not total, relief from hay fever. Immunotherapy If environmental control methods and medication prove to be inadequate to control a person's symptoms, a physician may recommend immunotherapy (commonly called allergy shots). The aim of this treatment is to increase the patient's tolerance to the particular pollen to which he or she is allergic. Diluted extracts of the pollen are injected under the patient's skin. The patient receives small doses once or twice a week, working up to larger doses that are given less often. The size of the largest dose depends on the patient's tolerance and the treatment's effect on the patient's allergy symptoms. Since it takes time to build up tolerance, prolonged treatment may be needed before the patient's symptoms are relieved. Immunotherapy is not without problems. It can be expensive, and may require months before improvement is apparent. Further, it does not work well for some people and, if the size of the dose or frequency of shots is not carefully monitored, the injections can cause allergic reactions. These reactions can be quite mild - redness and swelling at the site of the injection - or potentially serious systemic reactions such as hives, generalized swelling, or shock. Immunotherapy is therefore only one part of a physician's overall treatment plan for an allergic patient. WHAT IF POLLEN ALLERGY IS NOT TREATED? As anyone with allergies knows, allergic symptoms are annoying and, in severe cases, debilitating. As a rule, however, an allergy to pollen does not progress to serious pulmonary or other diseases. Occasionally, when pollen allergy is not treated, complications may occur. These include swelling of the nasal passages and eustachian tubes leading to the ears, which may prevent proper drainage and airflow and lead to secondary infection of the sinuses or to middle ear problems. HOW CAN MEDICAL RESEARCH HELP? Research on hay fever is proceeding on several fronts. Scientists are conducting what happens to the body in allergic disease. By knowing how this process works, they can devise ways to prevent sensitization to allergens or to prevent allergic symptoms. Meanwhile, clinical researchers are seeking better immunotherapy materials and methods as well as more effective drugs with fewer side effects. To speed the process of applying the findings from laboratory research to the treatment of allergy patients, the National Institute of Allergy and Infectious Diseases (NIAID) supports a network of Asthma and Allergic Disease Centers throughout the United States. At the centers, laboratory scientists work closely with clinical allergy specialists to expand our knowledge of allergic disease. Regulating IgE Antibody A basic approach to the treatment of allergy is to prevent the immune system cells from making significant amounts of IgE antibody. NIAID-supported investigators are studying a number of naturally occurring factors that may control this process. By inhibiting the production of IgE, we could prevent allergic reactions and eliminate the need for drugs to control symptoms. A possible new approach to regulating the production of IgE is by taking advantage of the complex feedback network of the immune system. Each molecule of IgE antibody contains a unique sequence of amino acids located on its surface near where the foreign substance or antigen attaches. This unique sequence is called an idiotype, and it enables the antibody to recognize a specific antigen. Because the body recognizes the idiotype as a foreign substance itself, another antibody is produced in response to the idiotype, which is called an anti-idiotype or antibody against an antibody. An anti-idiotype antibody can suppress the production of IgE by providing a turn-off signal to the cells that produce it. In experimental work in animals, anti-idiotype antibodies have been somewhat successful in controlling the IgE response to specific types of pollen. Such antibodies, while promising, need further development and testing. Stimulating IgG Production Scientists believe that immunotherapy works in part by stimulating the body to manufacture IgG, which is an antibody that blocks the effects of the allergen. By competing with IgE in combining with the allergen, these IgG antibodies apparently interfere with IgE's ability to react with pollen. A goal of immunotherapy research is to find more efficient ways to trigger the production of IgG while minimizing allergic reactions to the treatment. Modifying Pollen Extracts Among the most promising innovations is the development of modified pollen extracts that appear to reduce allergic reactions to the material used in immunotherapy. In addition, because the patient would be able to tolerate large doses of the extracts, fewer injections would be needed to induce the needed high levels of the IgG blocking antibody. One type of modified extract called allergoids has been developed by NIAID-supported investigators. Allergoids are produced from extracts subjected to a treatment process using formaldehyde. In clinical testing, allergoids appear to reduce the incidence of allergic reactions to immunotherapy while stimulating the production of protective IgG antibodies. Other NIAID-supported scientists have developed purified allergens modified through a process called polymerization. With the use of this method, small molecules of purified material are joined into large clusters called polymers. Studies with these polymers have also been clinically promising. As another approach to immunotherapy with pollen extracts, molecules of polyvinyl alcohol or polyethylene glycol are combined with the allergen. In attaching to the extracts, these molecules function as carriers that suppress the immune reactions. Such combined molecules are referred to as copolymers, and some are capable of activating cells (suppressor T cells) that, in turn, suppress the production of IgE. Other copolymers work directly on IgE-making cells to shut off IgE synthesis. In tests with ragweed pollen linked to polyethylene glycol, the patient's responses were very encouraging. Still other methods of modifying pollen extracts are being developed and tested. As immunotherapy is improved, those who suffer from pollen allergy will benefit from safer, more effective treatment. Local Nasal Immunotherapy A different approach to the treatment of hay fever is the use of the local nasal immunotherapy (LNIT). This procedure also utilizes pollen extract, but it avoids systemic side effects by acting only on nasal tissue. LNIT has been studied over the last several years by NIAID-supported researchers to determine whether it is safe and effective. In the LNIT testing thus far, water-based extracts and allergoids have not proven to be effective in small doses. Higher doses used in testing have produced allergic symptoms and therefore are not effective. In current studies, investigators are using high doses of polymerized extracts, which appear to be effective and cause minimal side effects. Further testing is needed to determine the usefulness of this approach. Because allergies result from a disorder of the immune system, scientists studying allergic diseases are benefiting from exciting new developments in immunology. The revolution taking place in molecular biology has led to significant advances in understanding how the immune system works, with applications to nearly every medical field. These advances offer the promise of better diagnosis and treatment of pollen allergy - and the hope that one day allergies will be preventable as well.